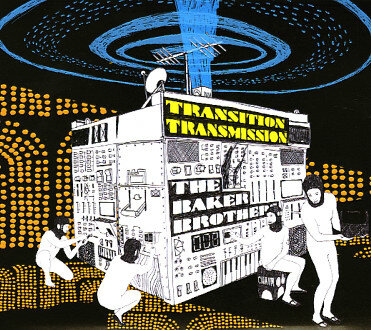 The Baker Brothers have come a long way since the raw funk of their initial debut - and this set is an amazing leap forward in sound, with a solidly soulful feel all the way through! The heavy drums and hard guitar of before are still nicely in place - but there's also some added horns, sweeter keyboards, and a well-produced sound that's totally great - one that shows that these guys understand soul as much as they do funk, and in ways that really push them away from some of the more rockish tendencies in their music. The vocals really make the record great -a nd while some of them are sung by the group, others are by Vanessa Freeman and the legendary Hamish Stuart - both of whom are a surprisingly great fit for the group. Titles include a great cover of "If You Want Me To Stay", plus "Chance & Fly", "So Said So Done", "It's Not Me", "Aargh Aargh Aargh", "Transition Transmission", "Beat Feet", "Roll Up Your Sleaze", "Why Oh Why", "Soul Shine", "Would I Be Wrong", and "B Bro Super 8".